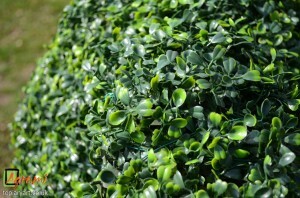 Artificial Boxwood matting can be very effective if you’re looking for a low maintenance realistic alternative to living topiary plants that can be ready in an instant. We use a variety with deep ‘foliage’ and tonal shades of green which replicate the real thing. It is also UV fade protected, for long-term outdoor use, light, sturdy, and weather-resistant. The same talented wire artists that create Agrumi’s living plant topiary at our New Forest nursery can use this to make topiary that requires absolutely no on-going care. It’s the perfect choice for clients wanting to commission items that they can transport and use over and over again for events and exhibitions both indoors and out. 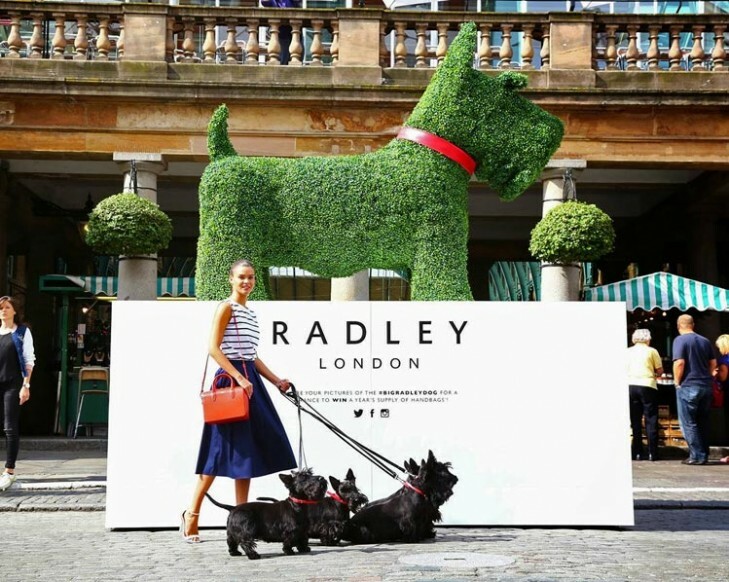 Agrumi have created a range of Boxwood topiary sculptures; including a big scottie dog for Radley Co. as an artificial topiary piece. Agrumi’s prices are very competitive; price-wise there is little difference between bespoke topiary made from artificial boxwood matting and that made of living plants, as it requires the same amount of work – give us a call and we can work something out!